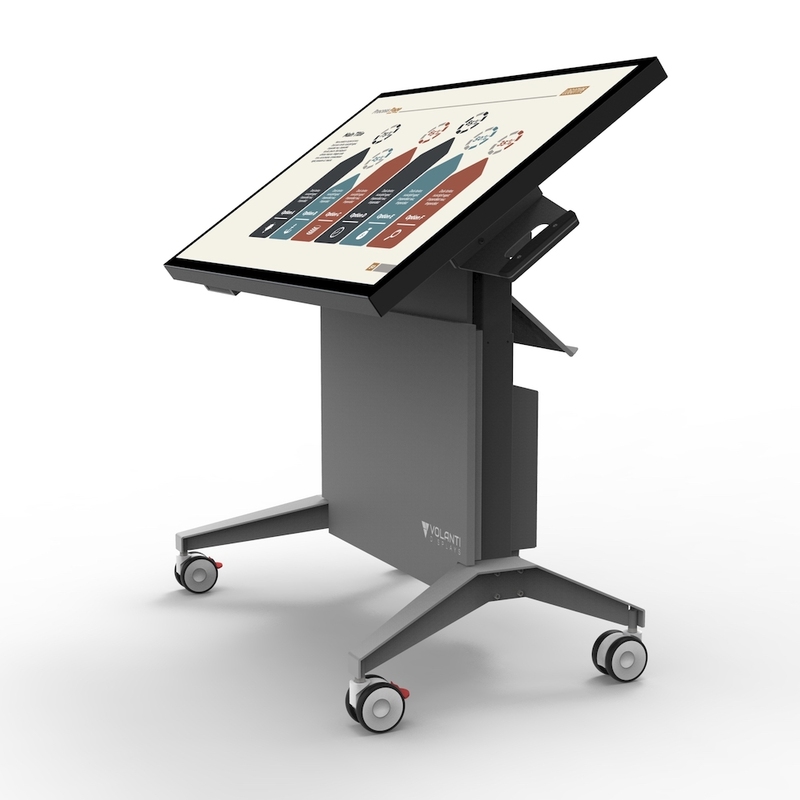 High quality large height & tilt adjust touch-screen tables with 4K Ultra-HD resolution displays and powerful workstation options for individual use or team collaboration for plan review, design, training, presentation and other commercial applications. Models feature a high resolution multi-touch display with a fully flat surface, ie no raised bezel. The solid stylish construction is higly ergonomic and very functional. Ideal for personal and team productivity. The touch is compatible with finger, glove and passive stylus.